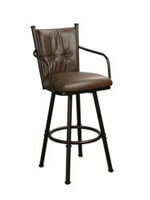 Edmonton’s refined, classy style adds panache to any space, from traditional to the most contemporary and eclectic. 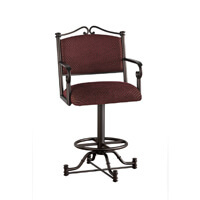 The gently curved, plush upholstered seat ensures a comfortable place to relax. 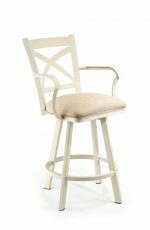 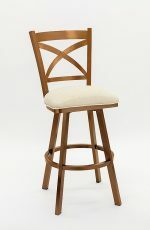 The soft criss-crossed curves within the frame of the back keep the look chic while softening the seats angles a bit. 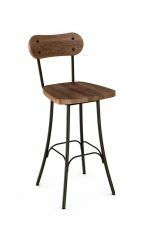 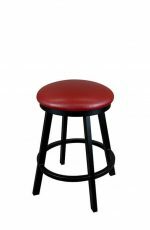 And the substantial four-legged bar stool base with a rounded footrest completes the look with satisfyingly balanced proportions. 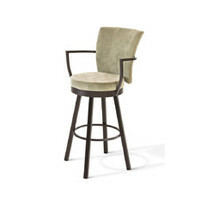 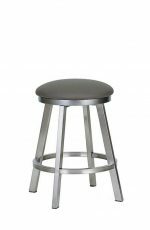 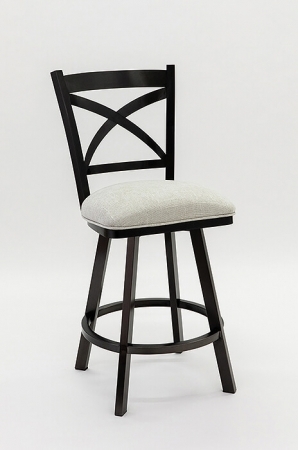 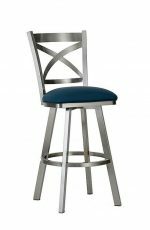 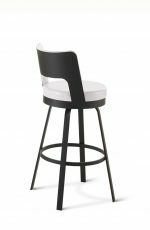 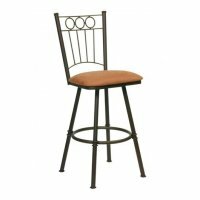 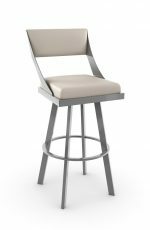 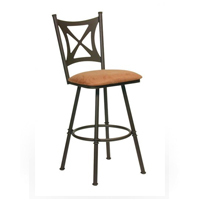 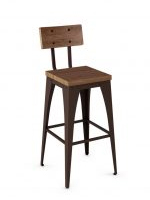 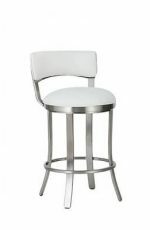 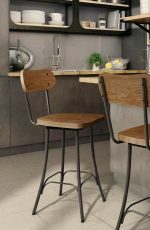 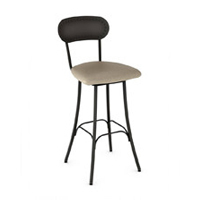 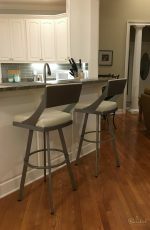 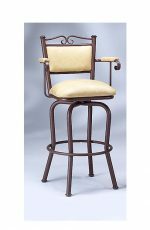 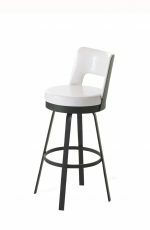 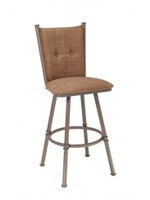 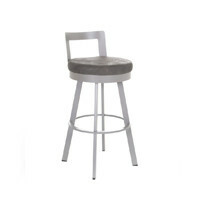 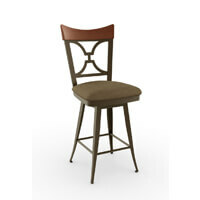 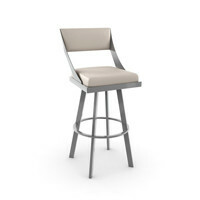 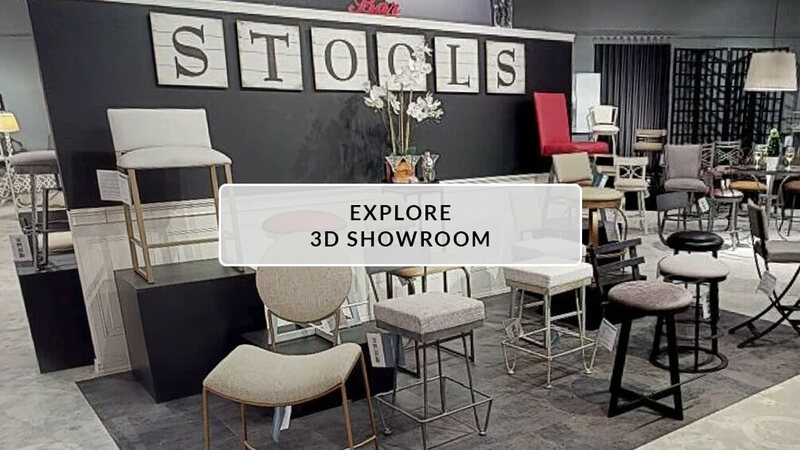 • For the Edmonton Swivel Stool in Black Stainless Steel, you will need 1 yard(s) per chair.